The old Nintendo Entertainment System (NES for short) is considered a classic console by many video game fans, and Nintendo’s 80’s machine was the first to let gamers play classics like Super Mario Bros. and Donkey Kong in the comfort of their living room. The NES was undoubtedly a popular machine and sold millions of units back in the 80’s, so it’s not surprising that when Nintendo released their NES Classic Edition last fall (a recreation of the old NES with 30 games preinstalled), it sold out quickly at major retailers like GameStop and Amazon. This was not unexpected given the power of Nintendo’s brand and the appeal of the NES console (and also the fact that the NES Classic was the perfect Christmas gift for many people). But what had some gamers up in arms was Nintendo’s slow response to the Classic’s supply shortages, as the Japanese company did not appear to move fast enough to meet demand for their new console. But now Nintendo’s president Tatsumi Kimishima has explained in Nintendo’s latest earnings report the reason why the NES Classic was in such short supply. As reported on CNET, Nintendo’s president said the key reason was that “some parts require time to procure” and that his company is “working to increase production”, while also stating that “we apologize to our consumers and retail partners for the inconvenience caused by product shortages”. Nintendo also revealed that it has sold more than 1.5 million NES Classic consoles, which is quite an impressive figure taking into account what Nintendo is actually offering with the NES Classic. Because while the console comes with 30 classic games like The Legend of Zelda, it is not possible to install more or use the old SNES’ cartridges, which diminishes its appeal somewhat, while these are very old games and are unlikely to keep anyone interested for long… And truth be told, the Classic controller’s cables are a bit too short, making it impractical for long gaming sessions. But still, even if the SNES Classic is little more than a curiosity, the Classic has clearly succeeded by playing on gamers’ nostalgia and its retro appeal, and will likely continue to do well ahead of the eagerly awaited launch of Nintendo’s Switch console this March. 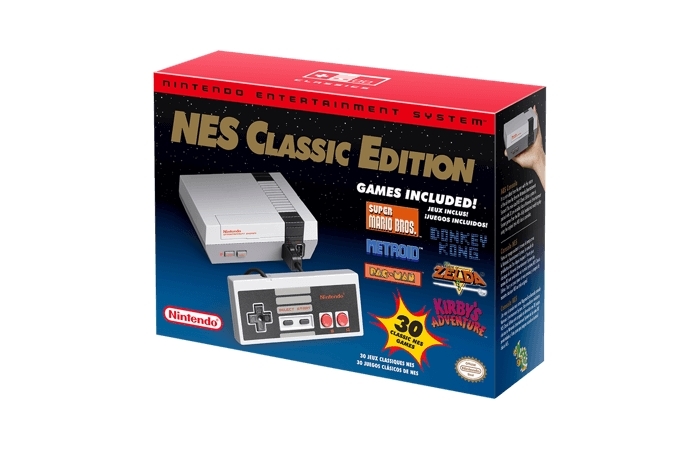 Nintendo Classic Edition (Nintendo of America).